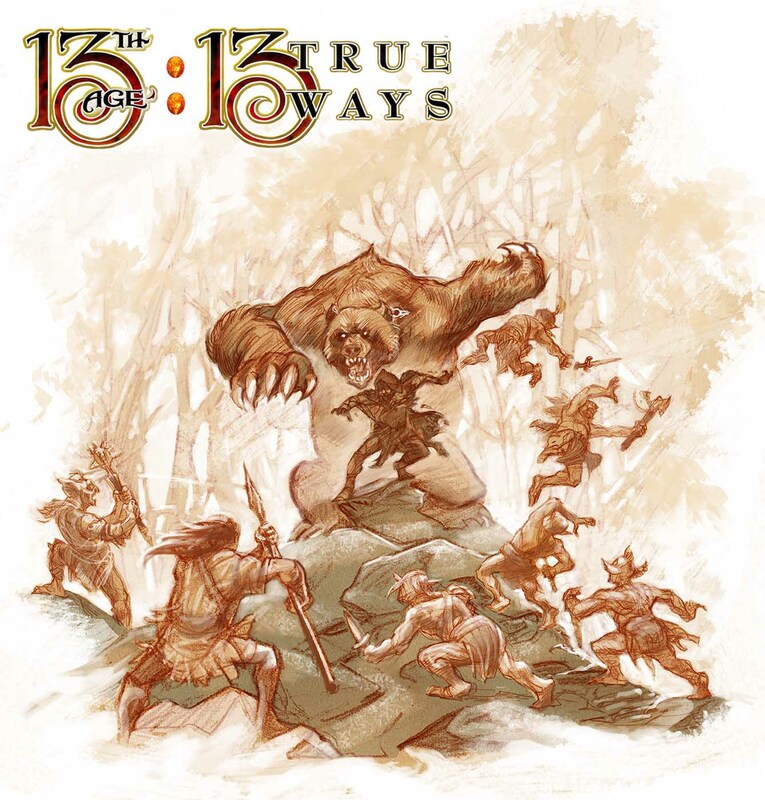 Today I’m peeling back the process of creating the illustration of the Great Bear Druid found in the upcoming 13 True Ways book. 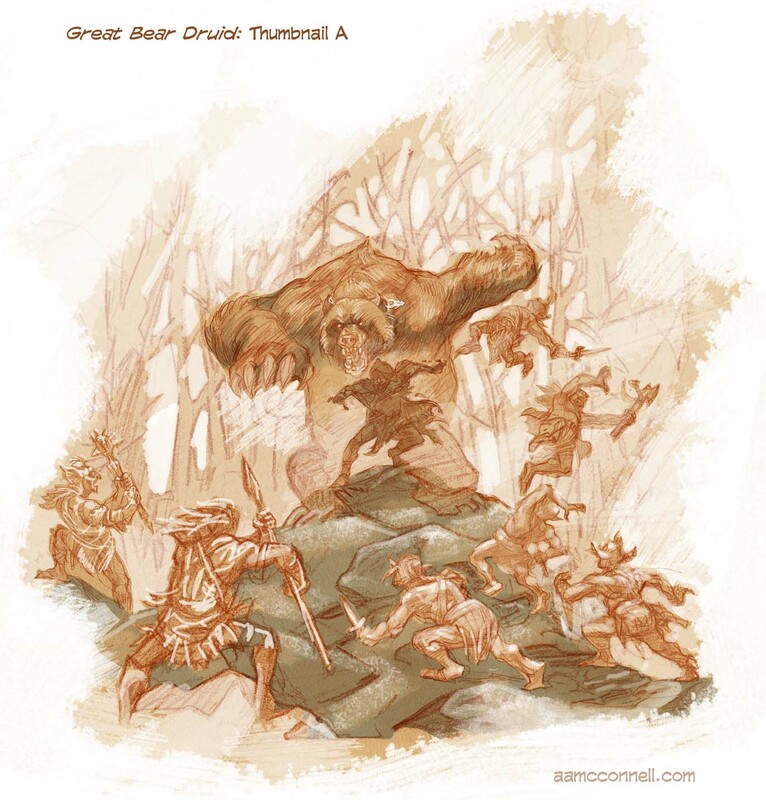 This piece almost got the cut because I think both Rob Heinsoo and myself may be a little overeager when it comes to the druid class. There may have been a concern that the druids were overtaking the book, but evidently enough balance was restored to keep this piece. This drawing came together rather quickly. 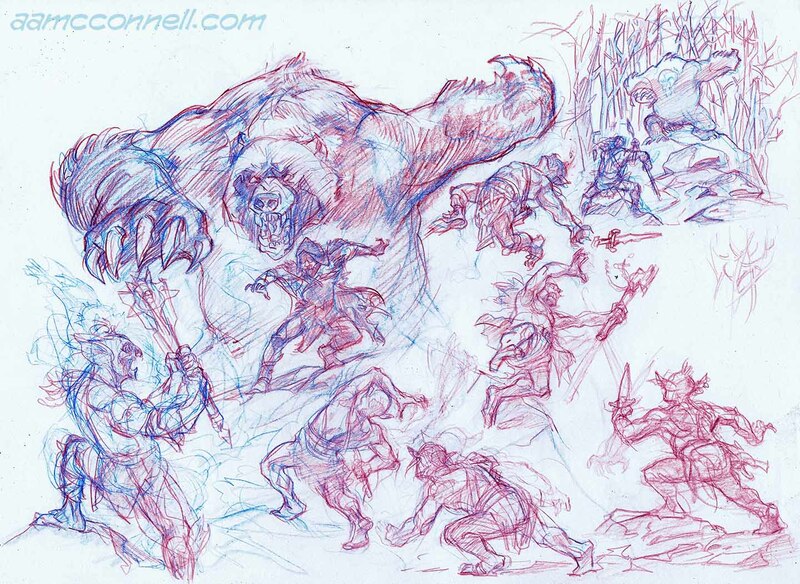 Below is my sketchbook page of the druid summoning his Spirit Bear and then a smattering of ungainly goblins. The next stage was done in Photoshop. I arranged the various sketch elements into a composition and added some digital paint. Lee Moyer swung his sorcerer’s wand around and brought contrast and clarity to the image. One thing I’ve learned from working with Lee is the importance of creating a composition that can still read when reduced to the size of a postage stamp, a valuable “big picture” skill that he has keenly developed.